Reward and Consent™: The Journal of Applied Behavior Analysis trained for behavioral compliance under cramped MRI space, yet it did not stress the accommodation for children's disabilities by advocating for extra-large MRIs under claustrophobic conditions. 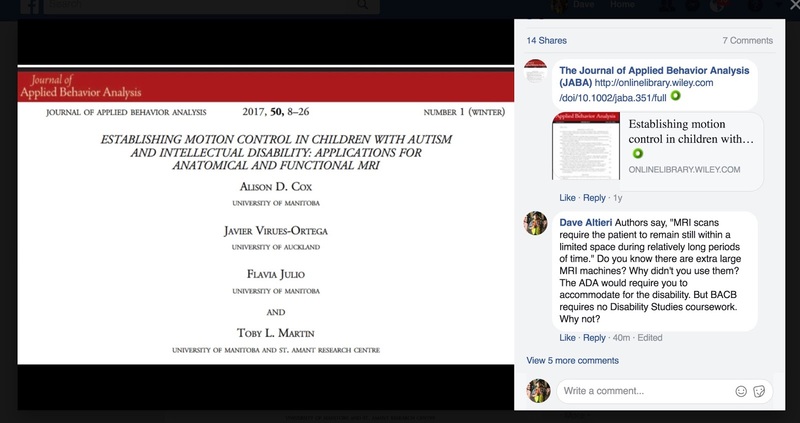 The Journal of Applied Behavior Analysis trained for behavioral compliance under cramped MRI space, yet it did not stress the accommodation for children's disabilities by advocating for extra-large MRIs under claustrophobic conditions. Cox et al., (October 14, 2016) wrote a paper in the Journal of Applied Behavior Analysis (JABA) "establishing motion control in children with autism and intellectual disability: Applications for anatomical and functional MRI." The authors said (previewed page), "Unlike other common medical procedures, MRI scans require the patient to remain still within a limited space during relatively long periods of time, making this procedure particularly challenging in the absence of total sedation." Does JABA not recognize that there are extra-large MRI machines? Why don't they simply advocate for their use rather than putting an autistic or a disabled child through a behavioral ordeal? Then let the technician handle it from there. They won't be so manipulative and demanding. The Americans with Disabilities Act would require them to especially accommodate for their disabilities if these children became too claustrophobic. But the Behavior Analyst Certification Board requires no college or university Disability Studies coursework of its Board Certified Behavior Analysts. Why not? If they did, they would get an earful from their actually autistic professors lambasting them for their dependence on "aversives," as well as for their coercions under ABA's popular-norm-of-the-day standard using its by-any-means-necessary standard under which they claim to be so "effective." About a month ago I posed this question to them in JABA's Facebook page. I updated the comment today. What was their response? It was typical of them. They totally ignored the question. Well they pretended to ignore it. But we know they read it. They are the folks who read this blog the most. We already know that. This is what they usually attempt to do as they try and fail to silence their critics. They call it "extinction of verbal behavior" in hopes we'll just fade away, for our voices to disappear into oblivion. But this ain't going to happen. 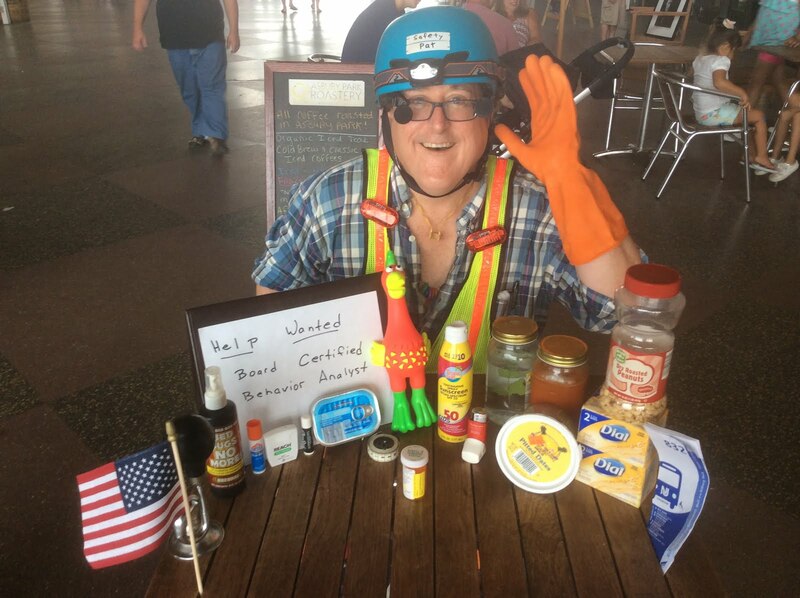 The CounterConrol Movement is gaining steam. Lol. By the way, ABAers, when you're reading this, we want to help you. The general public considers it to be very rude if someone asks you a question and then you ignore them. Just so you know how to behave the next time someobody "inferior" tries to communicate with you.